If you're still finalizing your Christmas list, Matador Records has prepped a gift that keeps on giving with a newly proposed singles club. 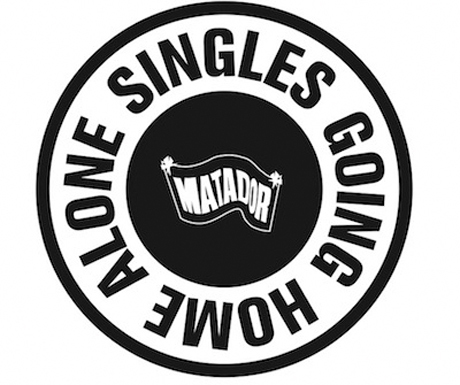 Titled "Singles Going Home Alone," the series promises six seven-inches to drop over the course of 2012. First up in the series is a seriously bizarre split seven-inch, which will see Stephen Malkmus & the Jicks teaming up with '80s glam metal greats L.A. Guns. The bands will be covering each other, with Malkmus and co. taking on "Wheels of Fire" and the Guns covering "Gorgeous George." But maybe it's not all that weird if you think about it. After all, Malkmus did want to call his latest album L.A. Guns. The split single will drop on January 17. From there, things aren't quite as weird with outsider garage punks OBN III's offering up a single on March 20 and Brooklyn punk destroyers the Men delivering a seven-inch on May 22. The final three records will drop on July 10, September 11 and November 6. The artists involved with those are still TBA, but with the first three records as exciting as these, we can't wait to see what Matador pulls out. The record series is available for $55 Canadian and can be ordered here.